In 2002, the Gordon Inquiry into the response by government agencies to complaints of family violence and child abuse in Aboriginal communities made a series of recommendations that are largely yet to be implemented. In 2015 a report entitled ‘A measure of trust‘ considered how WA Police evaluate the effectiveness of its responses to family and domestic violence. Issues raised by victims / survivors included a fear of being disbelieved, blamed or judged, a lack of confidence in the justice system, fear of retaliation and mistrust of the police. Many support services indicated that WA Police consistently fail to take breaches of Violent Restraining Orders (VROs) seriously. This was borne out in the case of Andrea Pickett, a Noongar woman from Perth, who had taken out multiple VROs against her estranged husband. The 4 Corners episode, ‘A Matter of Life and Death‘ documents how the failure of authorities to respond effectively to the domestic violence experienced by Andrea Pickett and by the Japanese-Australian woman, Saori Jones, contributed to and enabled their murders. It also documents the relentless struggle of Andrea’s family to achieve justice and change from her murder. 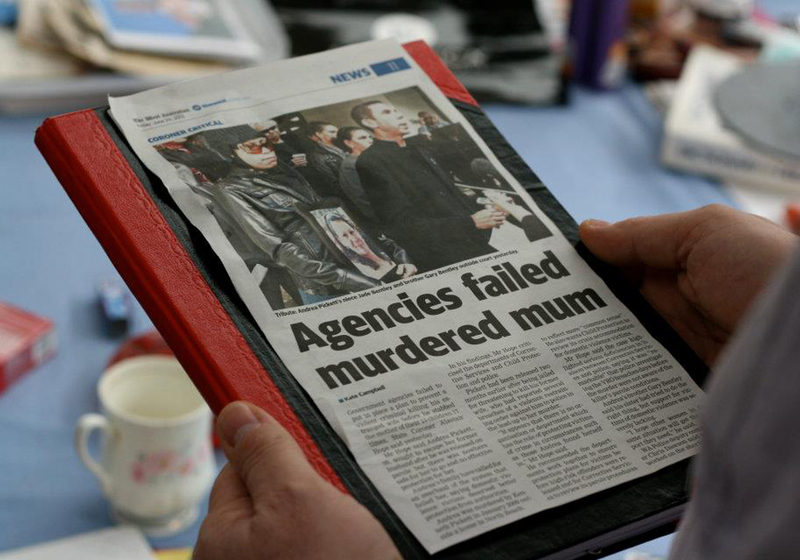 Andrea was murdered by Kenneth Pickett on 12 January 2009 while hiding at her cousin’s house. At the time he was on parole in respect of a charge that on 14 February 2008 he had made a threat to kill her. Prior to her murder she suffered several violent attacks and multiple breaches of the VRO. She had sought the support of Crisis Care in the hope of finding a safe place for herself and her children, but was told that they were unable to accommodate her. She relayed her concerns to police, but they were largely sceptical and dismissive. No steps were taken to ensure her safety.